Our France travel guide for unforgettable holidays up to -70% off To take advantage of these offers, join now for free! Famous for its fine wine, gourmet dining and historical monuments, it's no wonder that France is the world's most visited country. 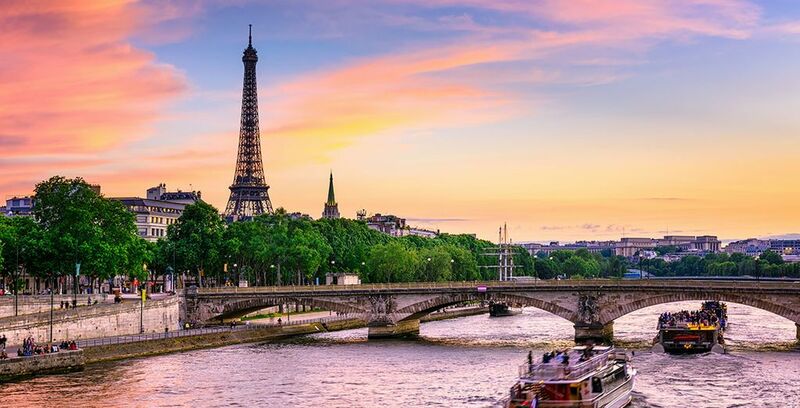 Over 80 million people come every year - and who could fail to be enchanted by the glorious countryside, incredible wealth of art and architecture, and of course, the romance of the French capital, Paris? 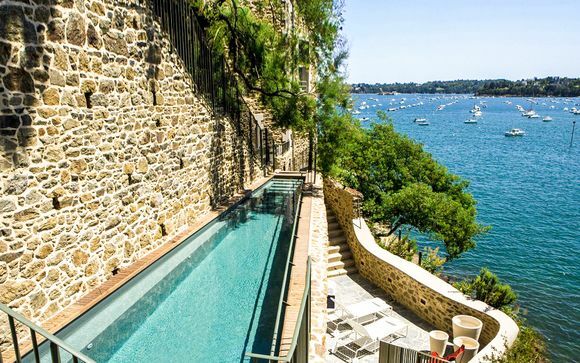 Backpackers, honeymooners and families will all find plenty to keep them busy, from the glamour of coastal cities like Cannes to the rustic beauty of the rural interior. Start your trip to France now. 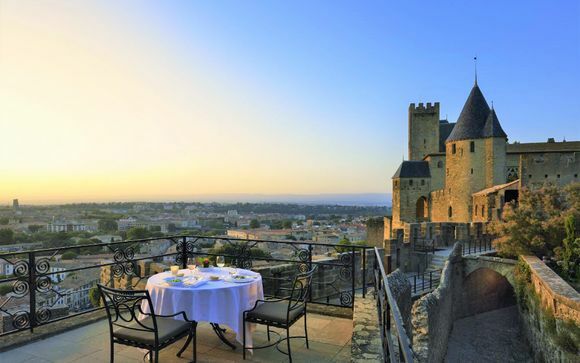 What else could be top of the list of places to go in France? The City of Lights has been seducing visitors for hundreds of years. 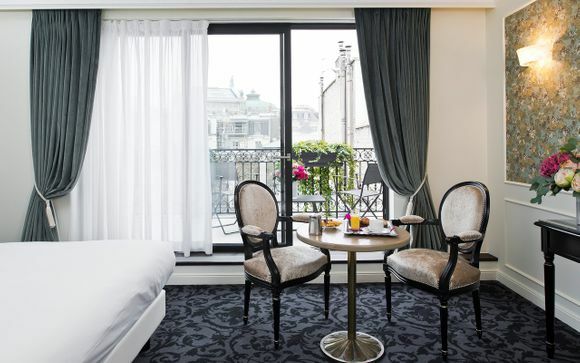 From the emblematic Eiffel Tower and monumental Notre Dame cathedral to the Louvre museum, home of the Mona Lisa, and the Musee d'Orsay, you'll find plenty to fill your days here. Be sure to make time to take a stroll down the Seine and explore the city's wealth of street markets - you never know what you'll find. Feel the parisian way of life. Discover our holidays to Paris: great deals to Paris, last minute Paris, Paris city break, holidays to Paris, stays in Paris, weekends in Paris. Running for 550 miles along the Mediterranean, the French Riviera has gained a reputation for being a playground for the rich and famous. In the summer, the port cities of Cannes, Nice and St Tropez fill up with yachts as people flock to the pristine white beaches. In May, the Cannes Film Festival dominates international headlines. Cheaper in the off-season, this area always buzzes with glamour. If you're not keen on the hustle and bustle of the city, head to the countryside of Provence. This picturesque southeastern region is filled with olive groves, vineyards and pine forests, making the perfect backdrop for a romantic getaway. In a country famed for its excellent gastronomy, Provencal cuisine stands out for its punchy Mediterranean flavours. Lovers of wine should never turn down the chance to visit Bordeaux, France's grape-growing capital. Plenty of vineyardsand and villages in the area welcome visitors - and, if you grow tired of indulging in the world-famous drink, you can also marvel at the gothic cathedral and the reflecting pool of the Place de la Bourse. Another nice destination to discover one of the best wine of the world is Burgundy. If you travel by car, you can follow a wine route in the south of France in Languedoc, or taste some champagne in Champagn in the northern France. One of Europe's richest historical regions, Normandy is awash with interesting things to see. The spectacular Mont Saint-Michel, appearing to rise out of the sea, must be seen to be believed. Omaha Beach, site of the D-Day Landing in World War II, can still be visited and is now home to a moving museum. From there you can also visit the Picardy. Whether you've got kids or you're just young at heart, nobody can fail to be enchanted by the magic of Disney! The theme park can be explored as a day trip from Paris, but it is also well-served by hotels. As well as the chance to meet all your favourite Disney characters and some of the best attractions in Europe. It boasts rides to thrill all ages. Lovers of theme parks should also visit Parc Asterix, also easily accessible from Paris, based on the adventures of the popular comic book hero. You might associate the Alps with Switzerland - but don't forget that the highest peak, Mont Blanc, is actually in France. Perfect for skiers, the Chamonix region is also a popular destination for hiking and trekking in the warmer months. 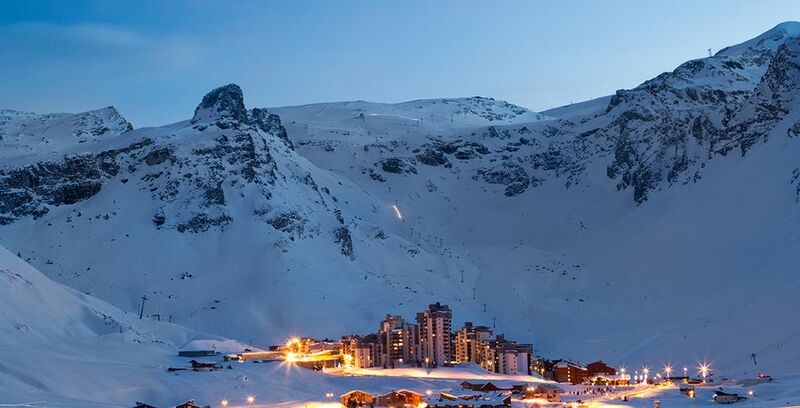 You may find others ski destination in France in the Pyrenees. 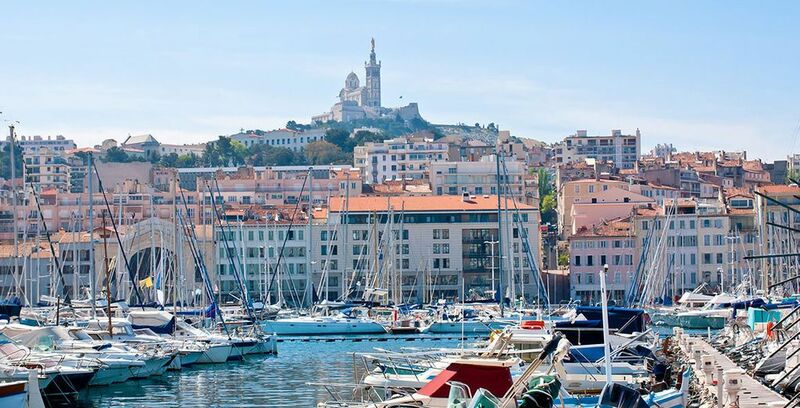 Founded by the Ancient Greeks in 600 BC, Marseille is another history-rich corner of France. The Old Port still throngs with fishermen, and there are a number of spectacular historical monuments to admire when you're not enjoying the delicious seafood. 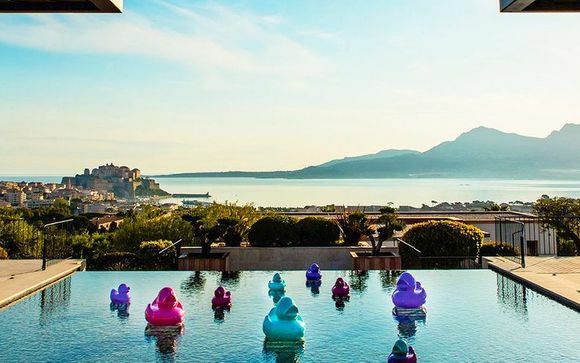 Near Marseille you can visit a wonderful region with Unessco world heritage sites, medieval towns, or discover the tourism in the wonderful island of Corsica. For a different side of France, this northern region has proud Celtic traditions and is home to a number of prehistoric megaliths. Perfect for a walking holiday, visitors can admire the rugged beauty of the Pink Granite Coast. At the heart of the French Basque Country, Biarritz is the country's top destination for surfers. If you'd like to hit the waves, then you shouldn't miss out on the pristine white beaches with great surfing conditions. If you're not keen, you can admire the beauty of the area, and the stunning seafront aquarium. France is a popular destination all year round. If you're heading to the south, you can expect good weather in the spring and autumn, so choose this time to avoid the crowds. In general, expect prices to go up steeply during peak season - and, in Paris, around Valentine's Day. There are a number of airports throughout the country, and Paris, in particular, is a hugely important international travel hub. British visitors can take the Eurostar train which connects Paris with London via the Channel Tunnel in just over 2 hours. Almost all big European cities offer direct flights to Paris, and to other major French destinations. France is part of the European Union, so there is freedom of movement among the member states. For non-EU visitors, it is part of the Schengen area, so standard Schengen visa application rules must be followed. 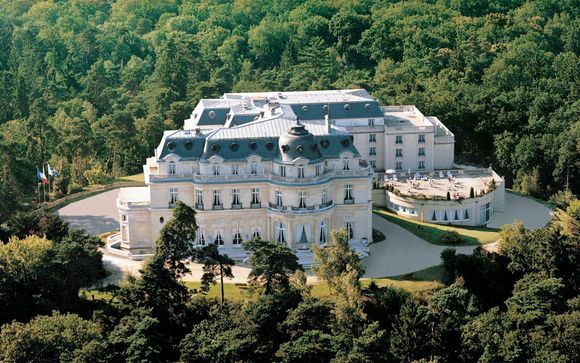 There's a huge number of hotels all over France to choose from. 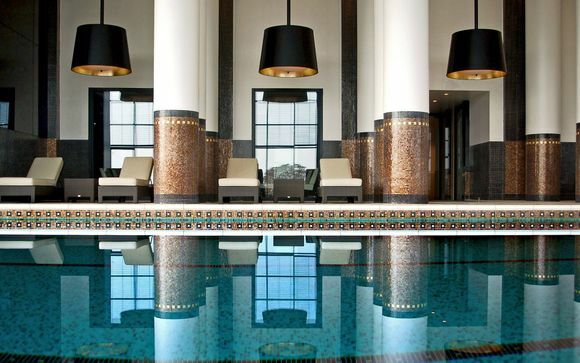 - For a mountain adventure, try the luxurious La Folie Douce. 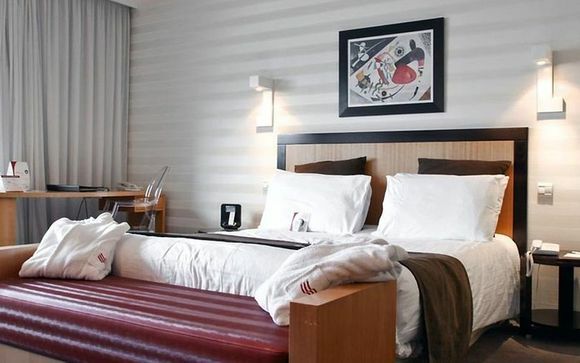 This 4* hotel, set in the stunning Chamonix region, is the perfect base camp for a skiing getaway. 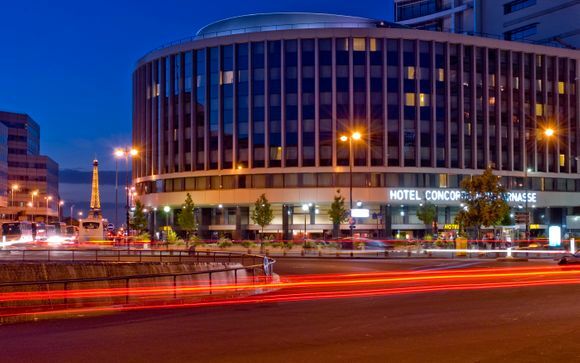 Enjoy 38% off your booking when you reserve this hotel. - Explore the stunning countryside of Provence when you stay in Residence Le Provence Country Club. 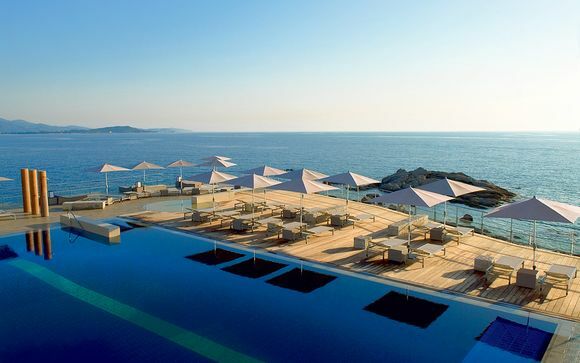 Located in the charming village of Saumane, this hotel - currently available at a discount of 51% - offers a wonderful swimming pool, tennis courts and amazing views. 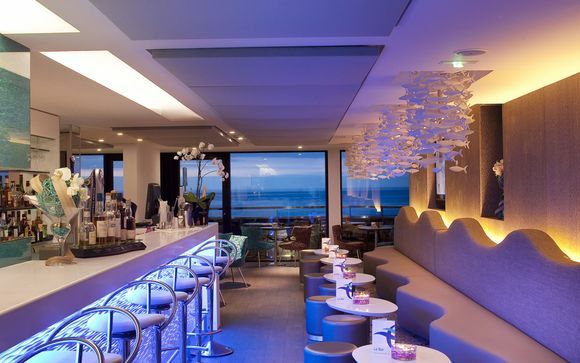 - In Marseille, offers comfortable rooms with breathtaking views of the Mediterranean. The building, inspired by the architecture of the 17th century, is one of the most beautiful in the city. Rooms are available with discounts of up to 70%. The location for the world's most famous cycling race changes every year, but it always goes through a picturesque route in the French countryside, and entices sports fans from all over the world to see who's wearing the famous yellow jersey. Held in February or March, depending on the exact date of Easter, Mardi Gras is particularly popular on the French Riviera. France's most famous national holiday commemorates the French Revolution and the 1789 storming of the Bastille. While there are celebrations all over the country on the 14th of July, Paris is the place to be for the biggest and best parades and fireworks. This glamorous event takes place each May, with the stars of the silver screen flocking to the south of France to debut their new works. Members of the public can watch movies on the beach, in the open-air Cinema de la Plage. What to bring back from France? You'll find souvenir shops everywhere you go in France, but if you want something to remember the country by, look for food and drink! A bottle of wine, a piece of artisan cheese, or a tin of duck confit will bring some of the magic of French cuisine back home with you. France uses the euro. It is easy to find ATMs throughout the country. In some smaller shops, restaurants and bars, cards may not be accepted for payments of less than €10. France is located in the CET time zone, one hour ahead of GMT. The national language is French. In cities, it is easy to find English speakers, but be sure to brush up on your language skills before heading to more remote areas! What to pack for your holiday in France? In summer, France enjoys a wonderful climate. Be aware, though, that drizzle in Paris - even in the warmer months - is a common sight, so it's worth bringing a rain jacket if you're heading to the capital. You might want to bring a glamorous outfit or two, as the French are renowned for their sense of style! It all depends on where you're going. You can get a good feel for most French cities in a weekend break, but if you're planning to visit a larger region, it's better to take a full week to really get to know the area. French cuisine has a well-deserved, glowing international reputation. Bistro classics like steak frites can be enjoyed all over the country, and regional specialities - ratatouille in Provence, bouillabaisse in Marseille - are worth seeking out. Desserts are particularly rich, and of course, the world-famous French cheeses demand to be tasted! How to travel to France with your pet? Pets with updated EU pet passports are welcome in France, and do not have to be quarantined. Dogs, cats and ferrets must be microchipped and in possession of a current health certificate. Pets can enter by ground from any neighbouring country, and can travel as checked baggage on a plane. If entering from a non-EU country, pets must pass through a Border Inspection Post at an international airport in Paris, Marseille, Lyon, Nice or Toulouse. The average daily budget for travellers to France, eating out and staying in a hotel, is about £125. Naturally, it's possible to cut this by buying food from supermarkets - but be aware that in some parts of the country, such as Paris and the French Riviera, it is difficult to travel on a low budget. Restaurant meals can cost between £10 and £25, although if you're indulging in wine and fine dining, that price can soar! Outside the cities, France enjoys beautiful green countryside. The Alps stand in the far east of the country, and many people feel that some of the best outdoor areas are in the north, around Normandy and Brittany. * France uses standard European 2-socket plugs, with a voltage of 220 - 240V. * Be aware when travelling in Paris and other big cities that tourists are often targeted by scammers and pickpockets. Common tricks include the "gold ring scam", where the scammer pretends to find something of value on the ground. The "pigeon dropping scam", where someone will offer to clean your shoulder, or typical distractions by pickpockets working in teams. Be on guard, and look out for these potentially costly tricks. * When it comes to tipping, French restaurants already include a service charge in the bill. If you'd like to add anything on top of that, a small tip of €1 to €3 is fine, and even at fancier restaurants, tips rarely go beyond 5% of the total bill. * Smoking is banned in public spaces in France, but there are still thousands of smokers in the country. If you'd like to enjoy your meal or drink on the terrace of a bar or restaurant, you can often expect to be surrounded by smokers. Most recently, Paris announced plans to ban smoking in the city's public parks. * The French generally eat lunch at around noon, and dinner at 7 or 8 pm. In non-urban areas, restaurants will often not open before these times, so if you're used to eating earlier, plan ahead. * Outside of the biggest cities, most shops close on Sundays (exceptions may be made in the run-up to Christmas). Keep this in mind if you're planning to do some shopping, to avoid disappointment! Discover our last minute holidays deals to France or visit our travel guides. Discover more offers with our secret escapes holidays.